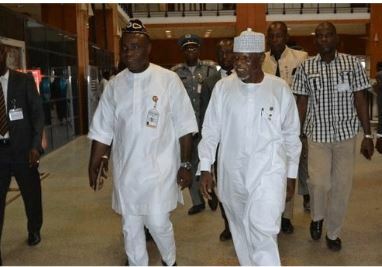 Nigerian Senate on Thursday sent the Customs Comptroller General, Hameed Ali back to go and wear uniform and appear before it next Wednesday. The Senators in a voice vote mandated the Comptroller General of Customs to come in uniform on Wednesday 22nd March, 2017. The customs Boss, when the Deputy Senate President, Ike Ekweremadu asked him why he refused to wear uniform he said, "there is no law against him for not wearing Uniform". Ali is expected to return to Senate next Wednesday in official Customs uniform.